With price, hands-on analysis and live photographs. Not known to many, Piaget was a pioneer in the designing and building of ultra-thin movements, a trademark of the company. They made their mark in the watchmaking world with the introduction of the ultra-thin hand-wound Caliber 9P in 1957 and subsequently, releasing the Caliber 12P in 1960 when it was known to be the world’s thinnest automatic movement. These were great showings of Piaget’s workmanship in terms of technical abilities as well as their creativeness in exploring different watchmaking possibilities such as ultra-thin profile watches. One of the most prominent creations from Piaget which embodies the above is the Piaget Polo watch. 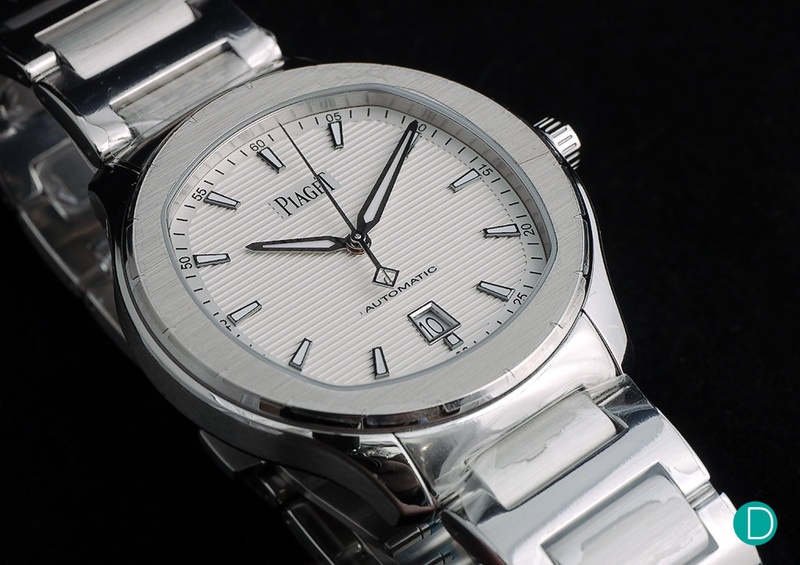 First released in 1979, the watch received a warm reception from many as it was a timepiece that can be uniquely identified to be from Piaget with its iconic design. The first release featured a bracelet that was integrated with the casing of the watch and this shows the technical abilities of Piaget’s watchmakers, giving the watch its own identity and making it look elegant. This year, we see the release of an all-new Piaget Polo line with two different options namely: Piaget Polo S and the Piaget Polo S Chronograph. The new release is designed to capture a younger audience looking for an affordable and elegant watch to sport on different occasions. Piaget sees the new Polo S as a “Game Changer” and in line with that, Piaget has named eight men as “Friends of the brand”. Among the eight includes Deadpool star, Ryan Reynolds and quoted “I’ve known of Piaget since I was just a little kid. You can’t find a more iconic brand, or one which better exemplifies craftsmanship, elegance and creativity.”. So, does the new Piaget Polo S exemplify the mentioned? Let’s take a closer look at the new release, the Piaget Polo S.
The all-new Piaget Polo S, a game-changer for Piaget. 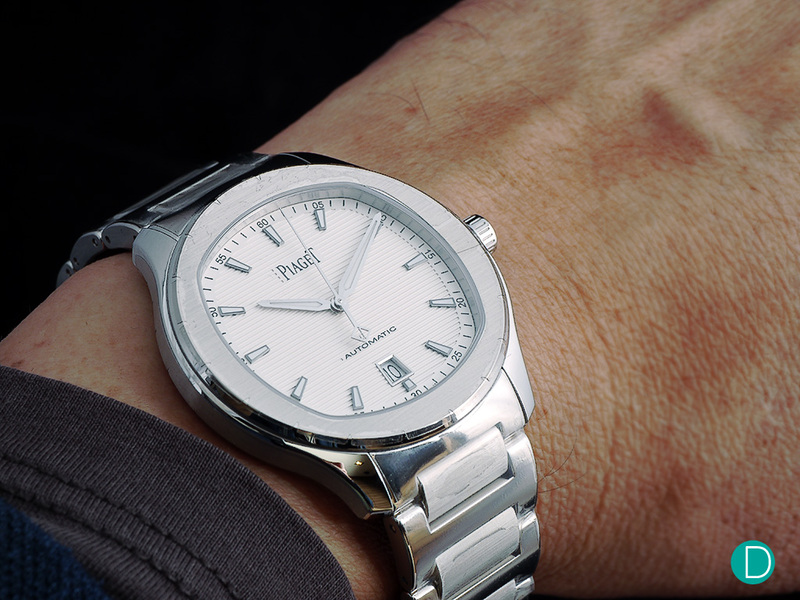 The Piaget Polo S comes in a 42 mm stainless steel case and it features a brushed bezel and a cushion-shaped case. True to its origins, this timepiece features a very thin profile measuring at just 9.4mm, making it an ideal dress watch. The dial comes in three different options, silver, blue and grey, appealing to a wider audience along with a simple dial design that also features a date indicator at the bottom of it. The Piaget Polo S features a simple-looking, elegant dial with a date indicator located at the 6 o’clock position. 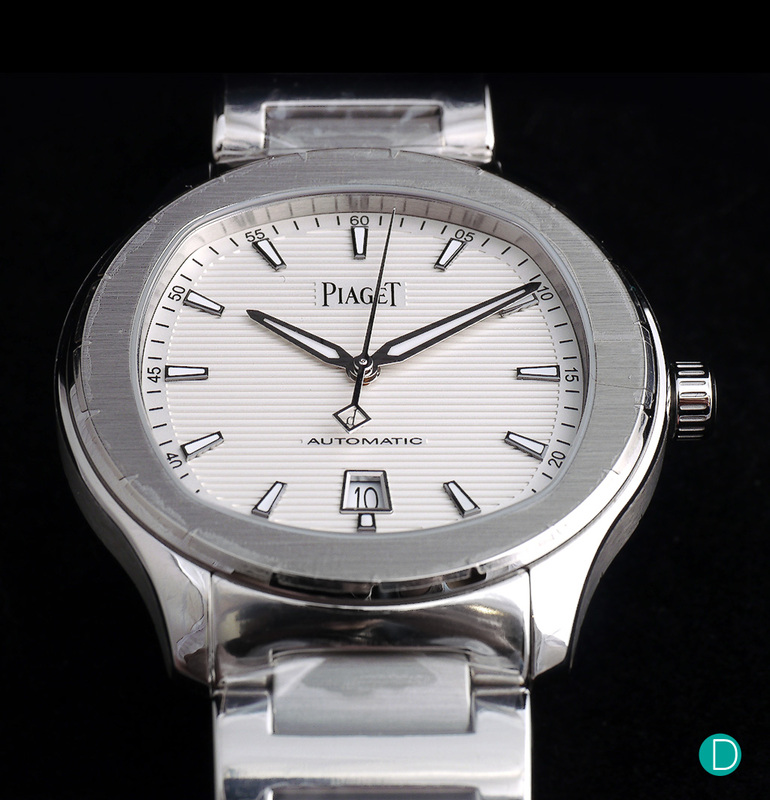 On first look, the Piaget Polo S bears a sharp resemblance to the Patek Philippe Nautilus. This was apparent from every detail; the brushed bezel looked like the Nautilus’ bezel except for the fact that its horizontally brushed and not done vertically. Likewise, for the dial, the Piaget Polo S features a horizontal striped dial which the Nautilus is very well known for, a trademark for Patek Philippe. The Piaget Polo S was designed to appeal to a younger crowd and we see many familiar elements on this watch. Notice the brushed bezel and cushion-shaped case, resembling the Nautilus. We feel that this was not accidental by any means and it’s a way to attract the younger folks who are interested in buying an entry-level watch that has a premium look to it. This new release from Piaget does not exemplify creativity to say the least, it looks almost as if it was hastily put together, combining elements of popular timepieces like the Nautilus or the Royal Oak. No doubt the watch is beautiful and elegant looking but, a watch must have its identity and not simply borrow elements of other timepieces to conveniently create that identity. The Piaget Polo S is powered by the new manufacture movements, the Piaget Polo S is powered by Piaget’s 1110P Caliber, a development of the 800P automatic mechanical movement which is well-known for its durability. 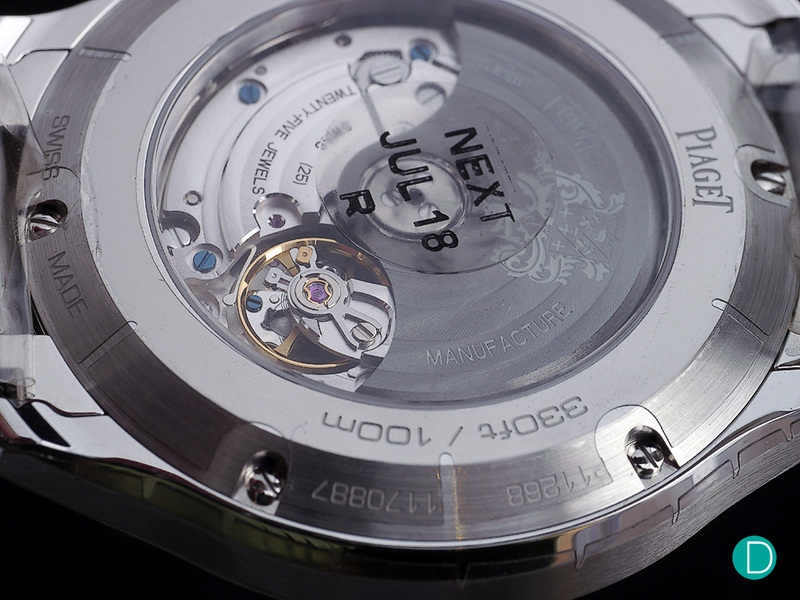 The movement drives the hours, minutes, central seconds and date indicator at the 6 o’clock position. 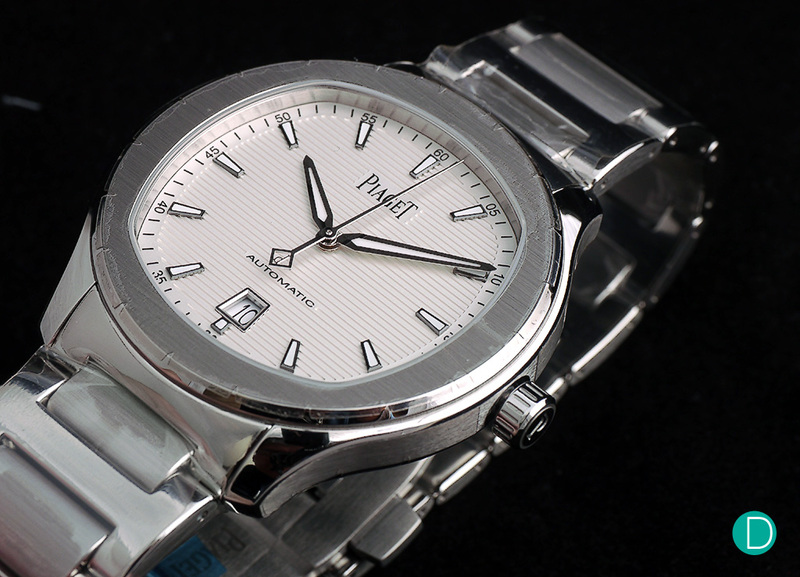 This movement operates at 28,800 vph (4 Hz) and features a power reserve of up to 50 hours. In terms of finishing, the 1110P Caliber is decorated with circular Côtes de Genève and stamped with the Piaget coat-of-arms, reasonably good finishing considering the price. The Piaget Polo S is an excellent dress watch and we like the aesthetics appeal of it, it looks almost like the Nautilus, a classic that can be instantly recognized from far. Priced at US$ 9,350 for the Piaget Polo S three-handers and US$ 12,400 for the chronograph version, the Piaget Polo S series is well-priced and no doubt this would sell very well given the design. On the other hand, it’s disappointing to see how a brand needing to resort to recycling the design elements of popular pieces to attract new buyers.